Courtesy of L. T. Service. A very rare opportunity to own Kailua Beachfront House that has 125 linear feet of beach frontage at one of the world’s top beaches! 32,934 sq foot lot! Beautiful salt water pool. Huge 6,000+ sq ft 7 bedroom 5 bath house on this magical part of the island. You have the convenience of Kailua town and the seclusion and privacy that you’re looking for with your beach front home. The development opportunities for the property are only as far as your imagination takes you. Please, send me more information on this property: MLS# 201904448 – $8,880,000 – 21 Kaiholu Place, Kailua, HI 96734. 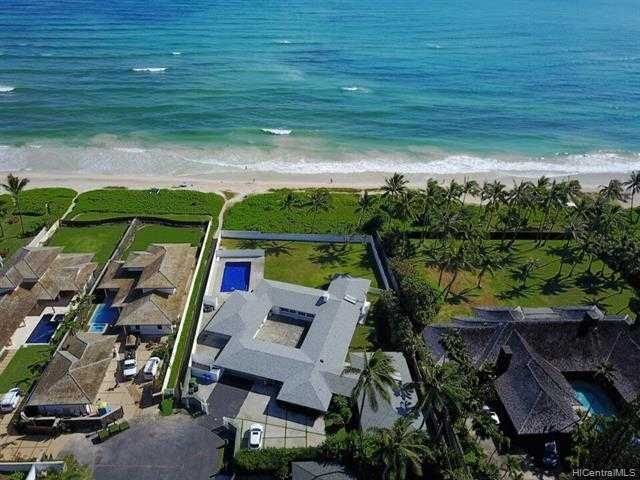 I would like to schedule a showing appointment for this property: MLS# 201904448 – $8,880,000 – 21 Kaiholu Place, Kailua, HI 96734.